Fashion trends are hard to chase some times. However, with the most updated Lightinthebox women’s pants collection, you can always keep yourself in style with the cheapest price. No matter you want to be chic, sporty, bohemian, sophisticated or comfortable casual, you can always find the outfit here with our large women’s pants range from high street pants to affordable runway replacements. For all the occasion from work to sports, you can find the perfect women’s pants here. 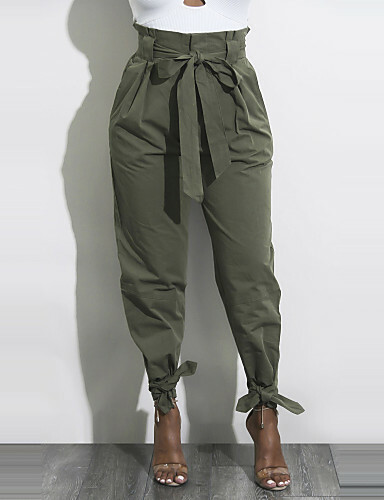 Wide leg women’s pants—as one of the hottest trends of these days, wide-legged pants have been a favorite of street celebrities and fashionistas. 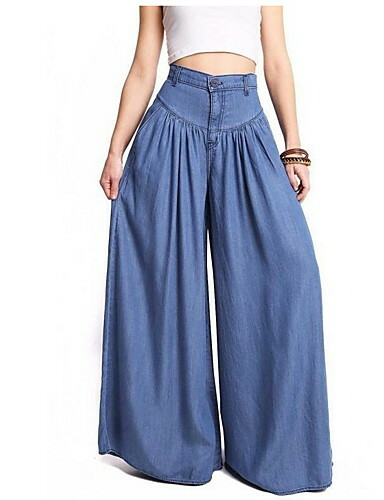 The loose women’s pants with wide leg pants can let you be more simple and concise. Keep up the latest fashion temple with our women’s pants collection. 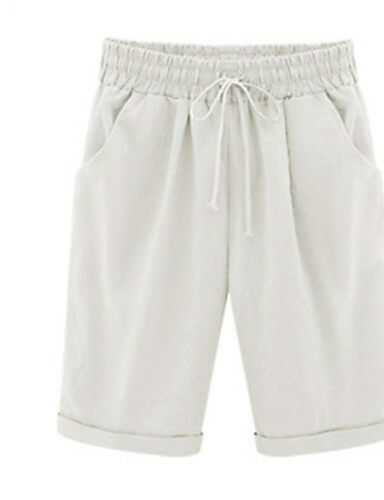 Shorts—find your perfect shorts in lightinthebox to let you be the most shining girl of this summer. Abundant pants types of denim, bohemian, print can fit all you need. Jeans—find the most stylish floral print or embroidery jeans here. Our popular ripped jeans can also be your selection. Leggings—sports can also be chic. Adopt the latest style with sporty look leggings here. Daily or metallic leggings can contain your everyday or party need. Stock up your wardrobe with skinny, slim, wide leg, chinos, business pants, embroidery jeans, sporty leggings, boho shorts from our trend-lead collections. With the industry experience for over 10 years, our fashion team will provide you all the best value women’s pants in body hugging fits, silhouette enhancing slinky styles and figure flattering wraps. We had the price and quality guaranteed by our strong supply chain from the factories to our customer directly. Every girl need to refresh her out looks time to time. However, it’s not necessary to feel guilty to enjoy the perfect women’s pants with our best price. Keep in the trend, be the fashion icon, you can find what you need here and start to party with Lightinthebox.